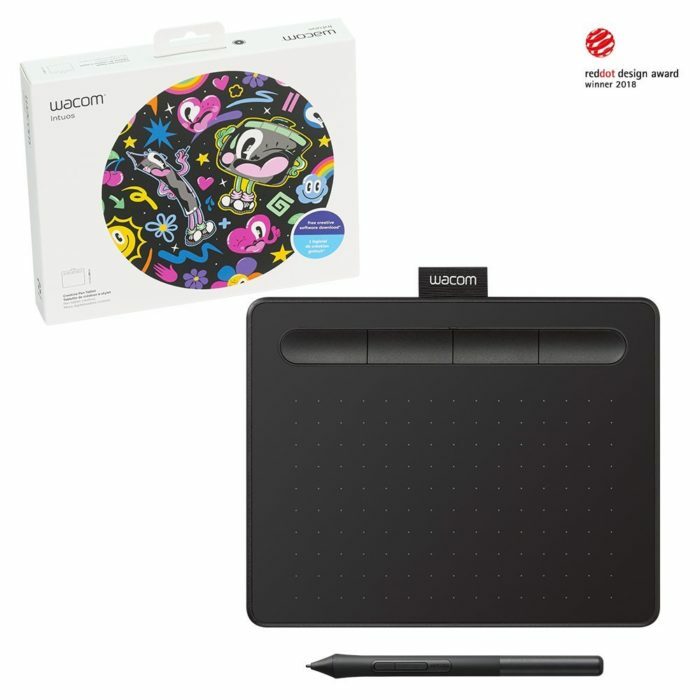 Have you ever tried the Graphic or Wacom tablet for digital drawing or painting in Photoshop or any other graphic program, if yes then its more than great and if your answer is no then now its time to start exploring new horizons which will definitely better for you in the long run as a designer or digital artist. 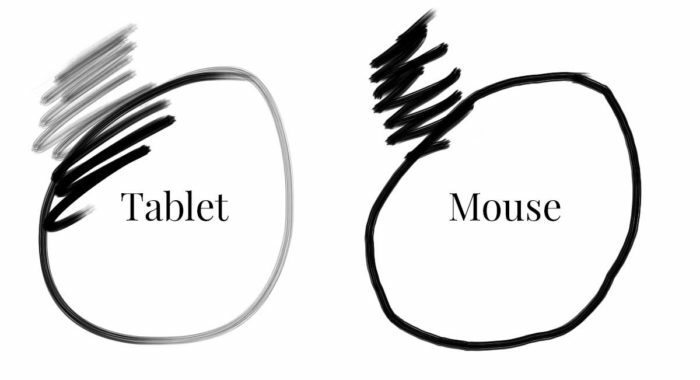 There are some facts you cannot deny when you compare your digital design workflow using Graphic tablet vs mouse life. When you want to draw on a computer, and don’t have graphic tablet, then its almost impossible to create natural looking strokes of your choice because the mouse doesn’t have any pressure sensitivity function which your graphic tablet does. You can draw great looking pressure sensitive strokes when you draw using a pen on a tablet. Please see the difference between pressure sensitive stroke mouse stroke. As you can see in the image that stroke drawn with a graphic pen is very fluid and natural, while the stroke with a mouse is very mechanical in nature with least depth. You can draw any figure on a computer with accuracy and depth as you draw with pencil on paper, after all its also a pen and paper but digital. You cannot draw natural looking figures with mouse see the difference in the figures below. Graphic pen and tablet is also a huge time saver because there is no need to draw your figures or rough drawings on paper and then scan them and digitize them later by tracing with the mouse, this process takes much longer time than drawing your concept direct in Photoshop with graphics tablet and pen and finalize them quickly. Using and holding a pen while working on the computer is far comfortable than holding a mouse for a long time. I personally use graphic pen as a replacement of mouse because pen, although I do have a mouse, it does all the works even better than a mouse and won’t let me feel uncomfortable if I have to work for long hours. 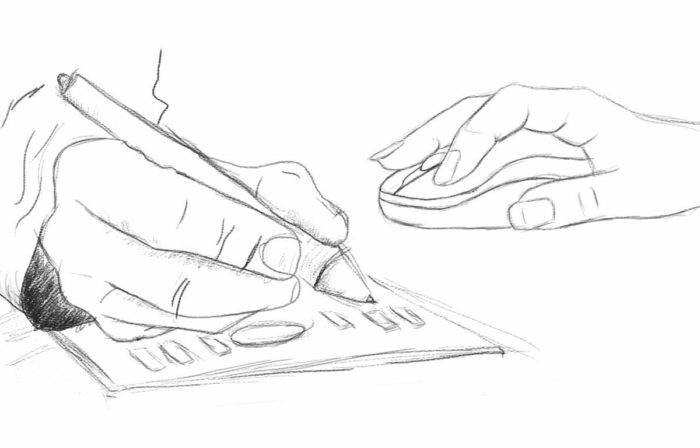 A graphic tablet is far more time saver in comparison with a mouse. There are many tasks which you can perform very well than mouse like drawings, pen tool usage, and overall screen movements etc. There are many graphic tablets available ranging from less than $100 unto $800 depending upon the features. 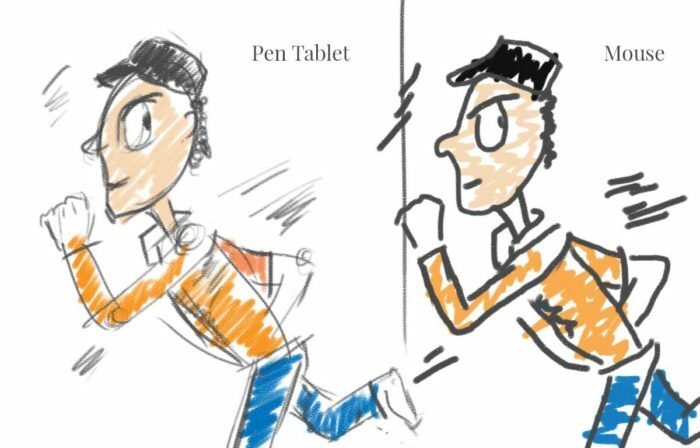 I do not recommend expensive tablets for newbies. There are several recommended models available which you can directly buy by clicking the links in our tools section in main menu or you can click here to buy these tablets from Amazon.